1. The Contest is open to authors under 40 years old, born in any country in Latin America and the Caribbean, regardless of their place of residence, with original and unpublished novels which are not under contract with a publisher, literary agent or any other form of legal binding and which are not simultaneously participating in another contest. 2. Manuscripts must be written in English or Spanish languages and should be novels reflecting any aesthetic tendency and theme, between 120 pages (180,000 characters) and 400 pages (600,000 characters). Two printed copies and a digital copy of the manuscript, identified with the entrant's pseudonym, should be sent. 3. A closed envelope will be included, containing the name of the entrant, a photocopy of the identification document affirming his/her nationality, as well as the address, email address and telephone number of the entrant and the entrant's previous writing credits. The title of the novel and the entrant's pseudonym will be written on the envelope. 4. Ilegible, unbound manuscripts or those which fail to comply with any of the rules herein stated will not be eligible to enter the Contest. The organizers will create an Admission Committee to guarantee the fulfillment of these requirements. 5. Manuscripts should be sent via the postal service or delivered personally to the institution in Havana, declaring the intention to participate in the Sixth Novel Contest for Latin America and the Caribbean ALBA NARRATIVA 2015. 6. Manuscripts sent via email will be accepted if they comply with the rules herein stated. Manuscripts submitted digitally must be in Microsoft Word format, typed in Times New Roman font size 12, with 1.5 spaces between lines, and should be sent to albanarrativa@loynaz.cult.cu or albanarrativa@yahoo.es before the deadline. Two documents should be attached to the message: the novel manuscript and the author’s personal data requested on rule 3. A message of confirmation will be sent by the organizers to acknowledge receipt of the entrant’s manuscript. 7. The deadline for the receipt of manuscripts is November 30, 2014. Entries postmarked no later than this date will be accepted unless they arrive after the judges have started their evaluation. 8. 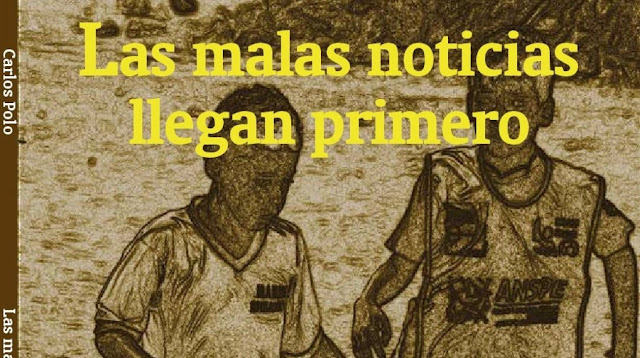 The Novel Prize for Latin America and the Caribbean ALBA NARRATIVA 2015 will consist of an accreditation certificate, plus ten thousand dollars (10.000.00 USD or its equivalent in the local currency of the winners’ countries) and the publication of the prize-winning books. A Prize will be given in each language. Be awarded two honorific mentions consisting of five thousand dollars (5.000.00 USD) or its equivalent in the currency of the award-winning author and the publication of the winning books. 9. The monetary retribution of the prizes will cover the royalties for the first edition of up to 10.000 copies of the novel, which will be published by the ALBA Funds for Culture and may include a translation in the other language of the Contest. Any further edition shall declare that the novel was awarded the Novel Prize for Latin America and the Caribbean ALBA NARRATIVA 2015. 10. An odd number of judges will be chosen among eminent Latin American and Caribbean writers. Their decision will be final. 11. The judges will meet for their final sessions during the XXIV International Book Fair in Havana, in February 2015, and their decision will be made public as part of the programmed activities of the Fair. 12. The judges may decide not to select a winner in either language if, in their sole opinion, none of the manuscripts submitted are of acceptable quality. However, the Prizes cannot be given to more than one entrant in either language. 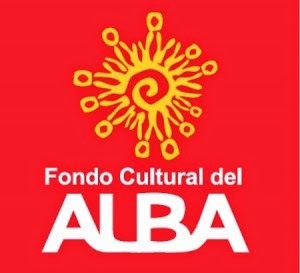 The judges could also distinguish novels of noticeable quality among the finalists, although the ALBA Funds for Culture will not have any obligation to publish them. 13. No critical evaluation or commentary will be offered and the manuscripts will not be returned to the authors. 14. By entering the Sixth Novel Contest for Latin America and the Caribbean ALBA NARRATIVA 2015, contestants must accept the rules herein stated. The interpretation of these rules or any other aspect not considered by them will concern only the judges and, as a last resort, the organizers. Entries: 148 manuscripts from 16 countries. Judges: President: Luis Britto García (Venezuela). Members: Luis López Nieves (Puerto Rico), Francisco López Sacha (Cuba). Prize: Percusión y tomate, Sol Linares (Venezuela). Honorific mention: Verde Alicia, Juan Pablo Fiorenza (Argentina). Entries: 141 manuscripts from 17 countries. Judges: President: Vicente Battista (Argentina). Members: Reinaldo González (Cuba), Sol Linares (Venezuela). Prize: Viaje al interior de una gota de sangre, Daniel Ferreira (Colombia). Honorific mention: El papel de lija, Alejandro Carpio (Puerto Rico). Entries: 99 manuscripts from 18 countries. Judges: President: Chiqui Vicioso (República Dominicana). Members: Marilyn Bobes (Cuba), Alejandro Carpio (Puerto Rico), Miguel Antonio Chávez (Ecuador), César Gutiérrez (Perú). Honorific mention: La Concordia, Evelio Traba (Cuba). Entries: 108 manuscripts from 18 countries. Judges: President: Gabriel Jiménez Emán (Venezuela). Honorific mention: Elogio del cadáver, Cristián Barros (Chile). Entries: 109 manuscripts from 17 countries. Judges:: President: Abdón Ubidia (Ecuador). Honorific mention: El último libro, Matías González (Argentina).